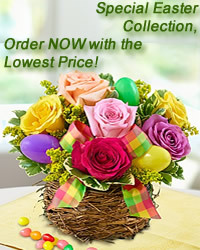 www.flowers-armenia.com Rated 4 out of 4 by 77 reviewes. Cheerful bouquet of 11 gerberas lovely wrapped and with a fluffy pink bow will leave them smiling with joy!All their wishes will come true when they receive this bright and sunny flower arrangement. Send one today, and make someone's day!